This divine single stem orchid is sleek and graceful. It’s the perfect choice if you’re looking for a sophisticated, contemporary gift. It’s refreshingly easy to care for too; with just a little love and attention this exotic looking plant can take pride of place for longer.The Pink Phalaenopsis Orchid is presented in a metallic combed ceramic pot. 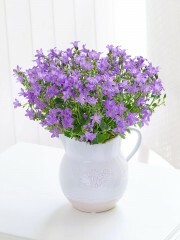 This striking purple flowering campanula creates a shimmering canopy of colour that contrasts beautifully with the lush green ivy leaves. 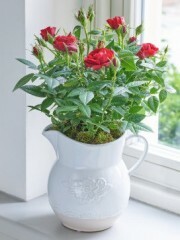 This charming gift is a great choice that not only looks attractive, it’s sure to prompt a smile of delight when they notice the cute teacup planter too. 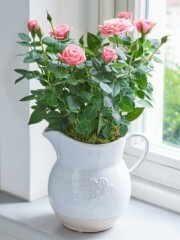 Add a dash of colour to their home with this charming flowering rose plant in warm coral pink. 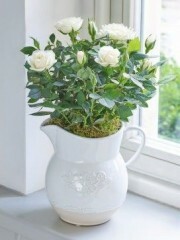 It’s carefully planted in a classic ceramic jug, which only adds extra charm to this informal style gift choice - and means it can be displayed and admired instantly too. The bright pink tones of these flowering rose and kalanchoe plants are in perfect harmony, and a wonderful contrast against the bed of lush greenery. 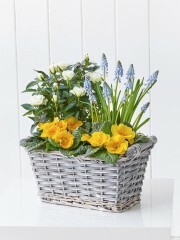 Beautifully presented and ready to display on arrival, this planted basket is a thoughtful gift choice to delight someone special. We chose this deep shade of warm pink because it is reminiscent of rich sunsets and long lazy summer days. 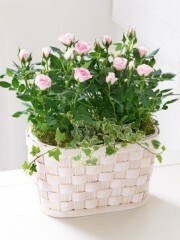 These rose plants with their cheery flowers make a lovely gift that will add a dash of feminine colour to any room.Featuring two pink rose plants and ivy presented in a grey wash woven basket. 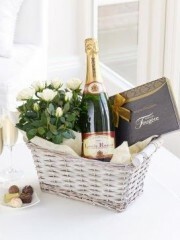 Why not send a gift of pure luxury to make them feel special? 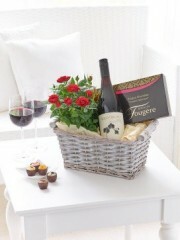 This delightful gift basket is all about spoiling them – with a glass or two of smooth red, a selection of delicious chocolates, and an array of red roses. What more could they want? At Dundee flowers we have a beautiful collection of plants to choose from, if you think they would rather a plant over some flowers or just want to give them something g different to enjoy, don’t worry because our plants make wonderful gifts and their gorgeous colours will last for months to come. 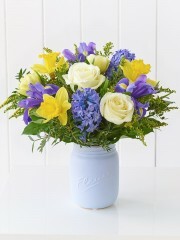 At our Dundee florist as well as our selection of fresh flowers our striking plants are designed and present beautifully especially for the person you have in mind. At Dundee flowers, if your spoilt for choice we recommend one of our exotic and beautiful Orchids, they are simple and easy to look after but still have that wow factor to add a touch of class to any gift. In addition our selection of wines and champagnes are a great option to add to your plants or flowers and we can deliver them too! 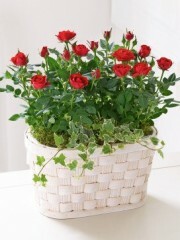 We also have beautiful planters that vary in size and style so whatever you’re looking for Dundee flowers can help. After you have placed your order, and chosen from our range of delivery options you can relax in the knowledge that our team will take care of the rest and make the person feel really special.